Tim Borchert is a seasoned leader and proven advisor who builds and leads multidisciplinary teams that help guide organizations through complex operational improvement initiatives. 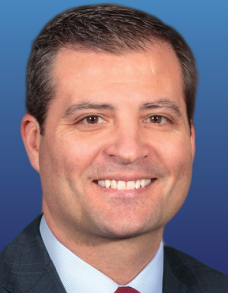 As President of Federal Advisory Partners, Mr. Borchert is responsible for creating, communicating and implementing the organization's vision, mission, and overall direction. He also maintains awareness of both the external and internal competitive landscape, opportunities for expansion, client development, partner relationship management, and market assessments. Before co-founding Federal Advisory Partners, Mr. Borchert served as a Deputy Director with Altarum Institute from 2007-2017. Prior to joining Altarum, he was the Managing Director of his own health care consulting firm that provided advisory services to optimize business performance within a multitude of health delivery organizations. His speaking engagements include regional and national health care finance conferences. He has been published in several health-related journals and currently serves as an editorial board member for Health Care Billing & Collections: Forms, Checklists & Guidelines, published by Wolters Kluwer. Mr. Borchert has more than 19 years of relevant industry experience working with a broad array of community hospital systems and federal health care delivery networks. He is a certified Project Management Professional through the Project Management Institute, in addition to being a Certified Healthcare Financial Professional through the Healthcare Financial Management Association. He holds a master of business administration from the State University of New York, Empire State College and received his bachelor of science degree in business administration, with a concentration in economics, from Nazareth College of Rochester, NY.